Success for all three bands. 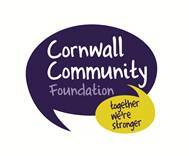 In March the Senior Band attended the South West Regional Brass Band competition and the Youth and Junior Bands competed in the Cornwall Music Festival. To read a report on our success in October please click the button below. We are now looking for experienced, confident players to join our award winning cornet and bass section. ​Have a look at our Facebook page for further updates and information. ​Please contact our band manager Dennis Carslake on 07446273718 or 01326241605 to express your interest. Welcome to St Keverne Band. Here you’ll find all the info you need - from Diary Dates to Photos and Videos of the bands. If you’re holding an event and would like to book one of the bands, please get in touch via the contact us page. If you would like to hire the band room for any events you may be hosting, you can also book this via the contact page. 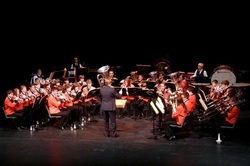 The St Keverne Senior Band currently holds 1st Section status as a nationally graded band. We rehearse on Tuesday and Friday evenings from 7.45pm. We have a busy concert programme and regularly take part in competitions, locally and nationally. We pride ourself on playing challenging and interesting music. We are made up of a wide age range of players and expect strong commitment from those involved as our aim is to achieve the highest standard of Brass Band music. 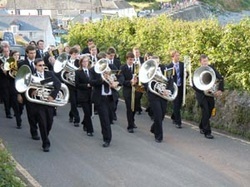 The St Keverne Youth Band is for young adults aged up to 19. We meet weekly on Tuesday evenings from 6.30pm to 7.30pm. This is the next stage of development of brass playing from the Junior Band. We regularly compete in competitions and have various concerts throughout the year. We aim to play challenging and fun music but still with the main aim of developing ensemble experience. Promising members of the Youth band may be invited to play in the Senior Band. 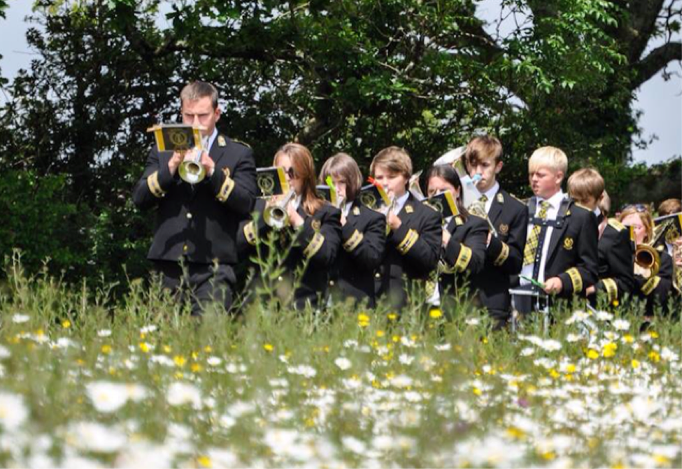 The St Keverne Junior Band is for children at the early stages of development from the Lizard Peninsula Area. We meet weekly on Tuesday afternoons from 5pm to 6pm. We aim to play fun and progressively challenging music. You need to be prepared to commit to a weekly rehearsal and various performances throughout the year.